Britten’s Peter Grimes is one of the few operas from the mid-20th century to have found a solid place in the international mainstream repertoire. While the work first appeared at the Metropolitan Opera in 1948, it was not until 1967 that it became a favorite of Met audiences. The run marked the role debut of Canadian tenor Jon Vickers as Grimes—his first in a career of riveting performances as the unstable title character—singing with a specific intensity that lent the opera added dramatic dimensions. Colin Davis conducts this performance of Peter Grimes from February 11, 1967, which features versatile American soprano Lucine Amara as the compassionate Ellen Orford and Welsh bass-baritone Geraint Evans as Captain Balstrode. 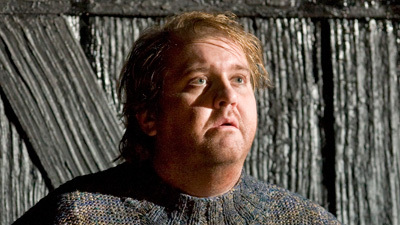 The Met’s impressive roster of comprimario artists also shines in the teeming cast of Peter Grimes.